Did you know that Pad Thai (ผัดไทย) did not come from Thailand? Pad Thai is nothing more than a regular noodle dish, one that is not even native to Thailand. 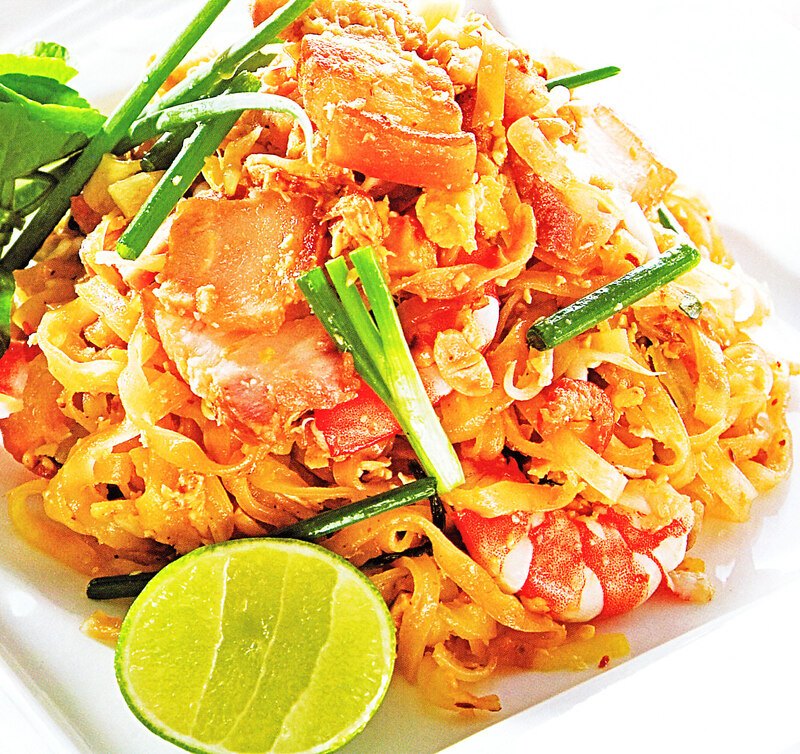 To understand the history of Pad Thai (ผัดไทย), you need to understand the meaning of the words. Thai (ไทย) – that’s obvious. Pad (ผัด) – means fried. There are however, countless Thai dishes with the word Pad in it. 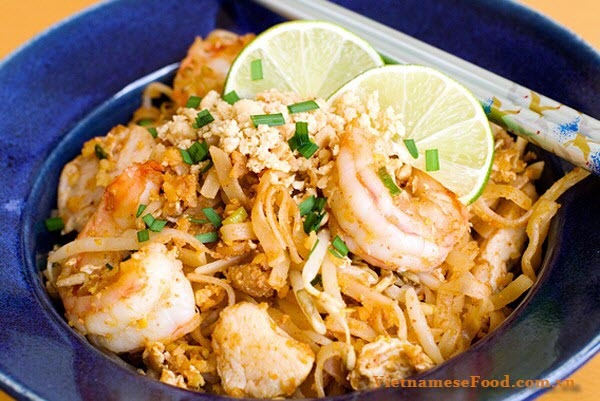 The main ingredient in Pad Thai is rice noodles which are stir-fried. So, if you were to roughly translate Pad Thai, you’d have to say the dish is stir-fried noodles Thai style. The actual name of the dish, Kway Teow Pad Thai (ก๋วยเตี๋ยวผัดไทย), hints at possible Chinese origins. Kway Teow (ก๋วยเตี๋ยว) in Chinese, refers to rice noodles. 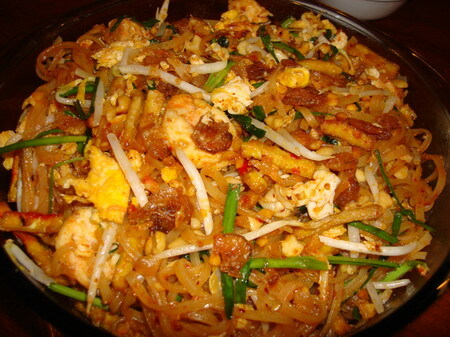 It is likely that some early version of the dish came to Thailand with settlers crossing from southern China who brought their own recipe for fried rice noodles. Certainly the cooking style— stir-frying—is Chinese, and most food historians credit the Chinese with the invention of noodles. The cooked meats and vegetables in Pad Thai resemble dishes prepared by the Cantonese and Tae Chiew (Chao Zhou in Mandarin) from China’s eastern Guangdong province. Nevertheless, the flavors and textures are pure Thai. 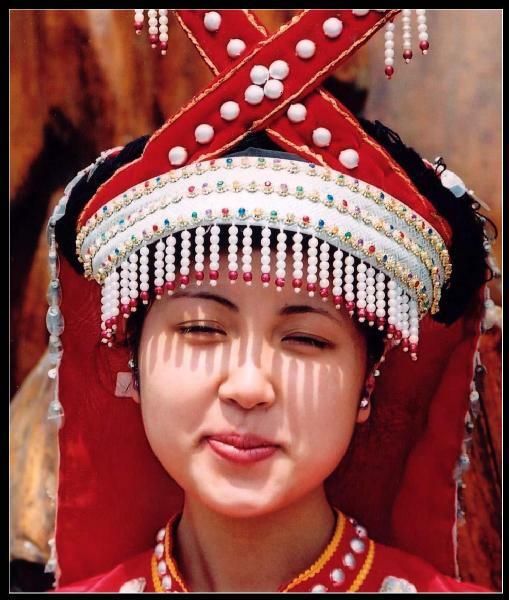 If the Chinese migration theory holds, Thai ancestors may be the Chinese T’ai (phonetically, “Dai”) people who migrated from southwest China in what is now the Yunnan province. In fact, today’s Thai can find many similarities in language, dress, and cooking with the Chinese T’ai. On the other hand, there are some who believe that Pad Thai was introduced by Vietnamese traders who came to visit the ancient capital city of Ayutthaya. In Vietnam, there is a similar dish called “phở xào” or “bánh phở xào sa tế,” meaning “stir-fried pho”. 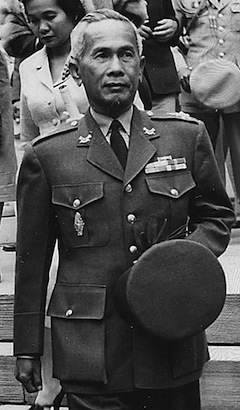 Pad Thai was made popular in the late 1930s and 1940s by the Thai government as part of a campaign to promote Thai nationalism during World War II. The government also wanted to reduce domestic rice consumption, as the Thai economy was heavily dependant on rice exports. 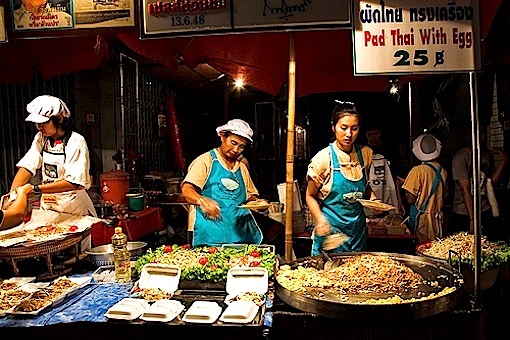 To help increase the popularity of Pad Thai, the Thai government provided recipes and encouraged people to use wheeled carts to sell the dish. Soon, Pad Thai became a cheap and convenient meal.